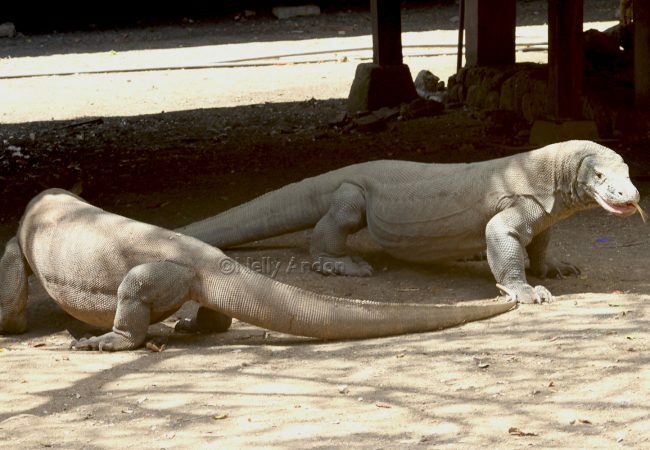 If you are one of a kind of explorer that always curious and eager to see the namesake dragons that exist nowhere else on this planet but here in Indonesia, you will find yourself in Komodo islands. These islands are so remote, scorching hot and barren as a bone but your curiosity would take the best of you. Today, exploring Komodo islands is much more than just visiting the dragons to feed your curiosity, but these islands have become one of the paradise destinations for divers, photographers and those who long to see deserted white beaches which offer clear waters for snorkelling. Upon leaving Padar island, we passed some beautiful little islands with amazing white sandy beaches. Some of the islands look like giant sleeping rocks and we passed a particular island which looked just like a sleeping dinosaur. 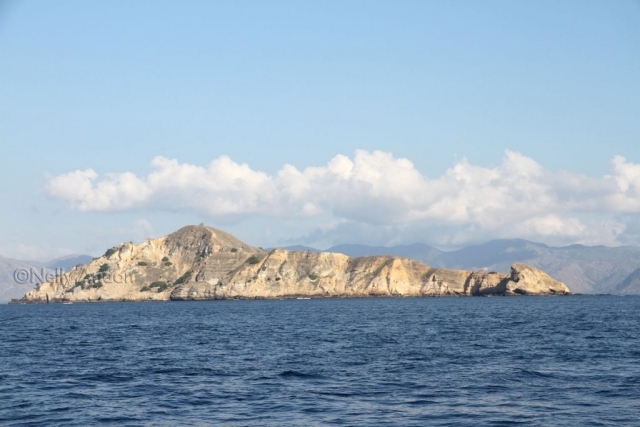 Just before we reached Pink Beach, we can see the Fishing village of Kampung Komodo from a distance. 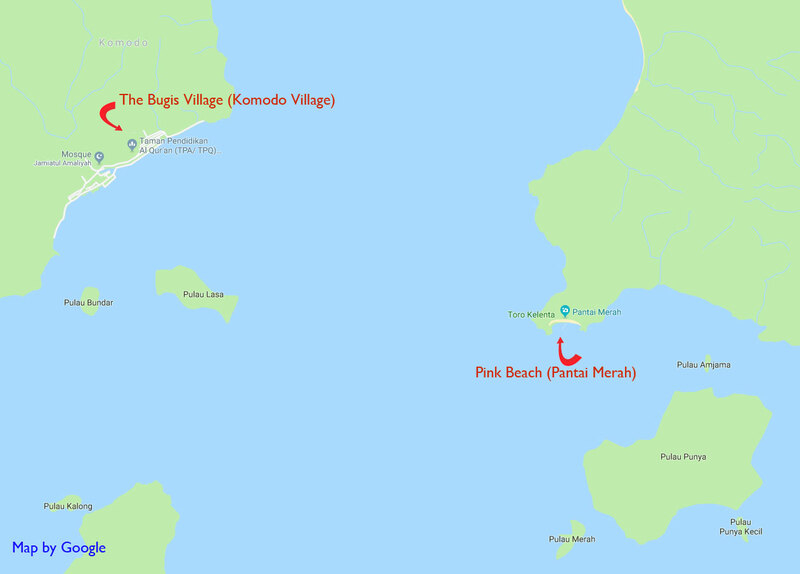 Komodo Village (Kampung Bugis) is apparently a very friendly village, sadly we didn’t visit the place. Some of the people live here are said to be descendants of prisoners exiled to this island by one of Sumbawa’s Sultans, around the 19th century, but the majority of the people here are the Bajau people of the Bugis ethnic groups originated from South Sulawesi. The Bajau tribe were originally nomadic and moved from location to location in the many regions of Indonesia, particularly in Sulawesi itself, Nusa Tenggara and Maluku. 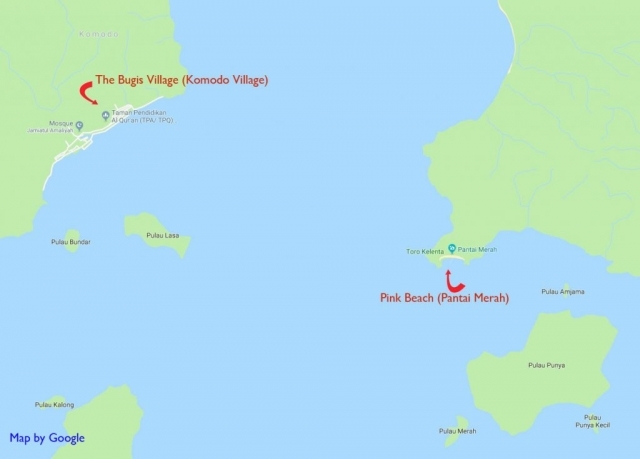 The pink beach is located not very far from Rinca, island (Please see the maps below for guidance on their location. 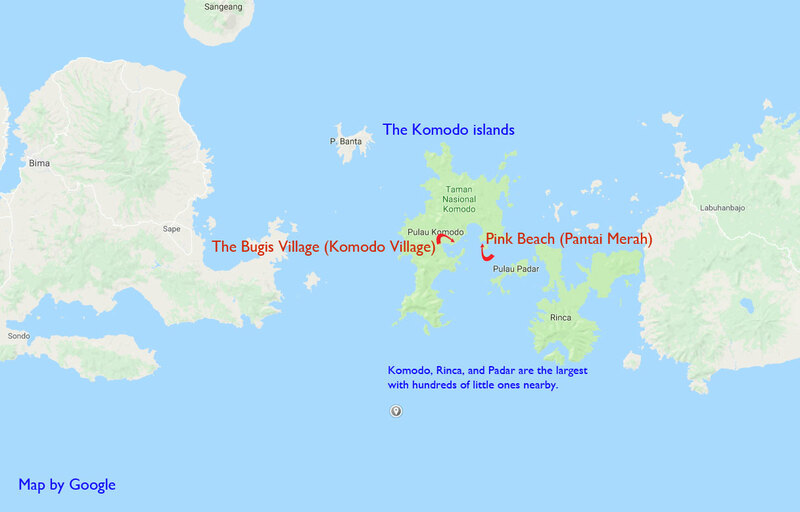 Rinca is the second Komodo Park. It takes about 30 minutes by a boat ride on a normal speed to reach Rinca from here. From a distance, the beach looks just like any other beach with white sand, but on closer inspection, the sand is actually rather pink. Old bits of coral had been broken down in the sea and washed ashore to create this gorgeous red and white combo which creates this beautiful scenery. Strolling on this empty beach, was priceless!! I must admit, I knew very little about the Komodo islands before our Flores adventure planning. 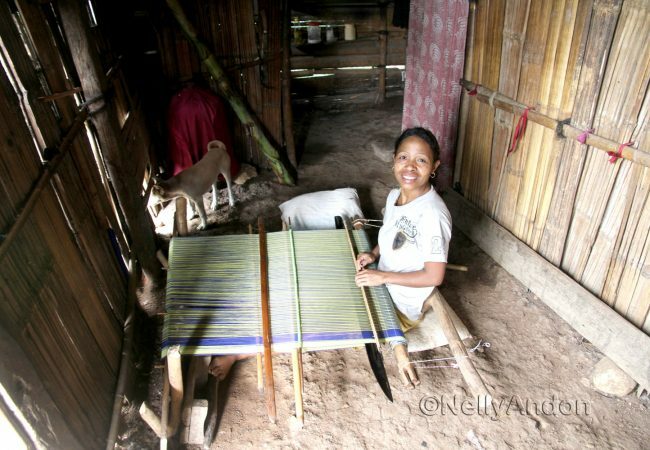 I have read a lot about the textile producing regions before, little about the Komodo islands. 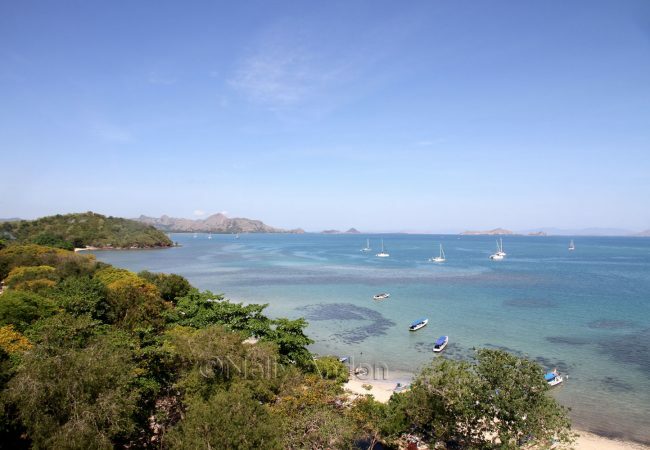 Exploring Flores this time has given me tremendous knowledge of Eastern Indonesia, the people and its culture. 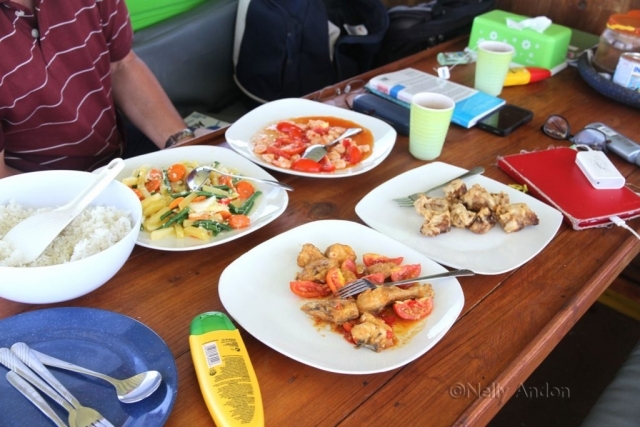 We were so grateful to the boat crew who have created a fantastic itinerary for our trip to Komodo islands for the two days adventure. I never even expected to be landed in Pantai Merah (Pink Beach) as I knew nothing of this gorgeous spot before. It was a real blessing that when we landed here, there were only a few other people around, in other words, peaceful. We were truly lucky, apparently, this beach usually well visited by tourists. We only had a short lunch break here, strolling on the beach and had a lovely swim. As it was only a stopover on our way to Rinca from Padar island, hence we didn’t attempt the snorkelling, we were trying to get to Rinca island before the sunset. Wildlife is thriving well around here, some are fairly scary looking. 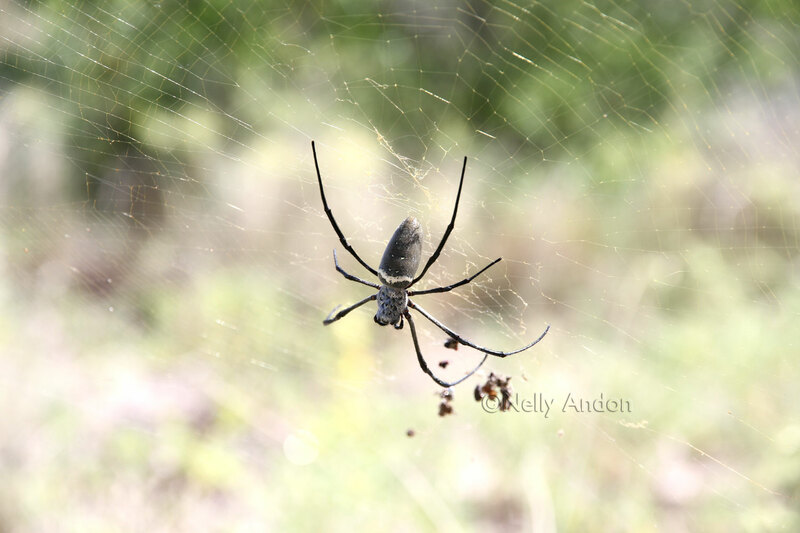 Time for another lavish lunch before departing to RINCA island to meet the world’s largest lizards.